Meg's Food! 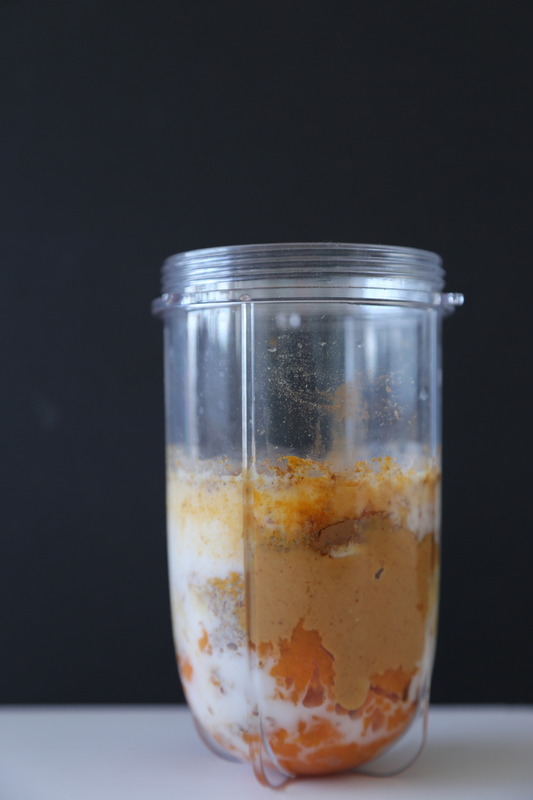 | Vitamin-Packed Orange Smoothie - Meg's Food! Sweet potato in a smoothie? Just trust me on this one. Bright orange, super creamy, and with just enough spice, this smoothie is definitely a winter smoothie (if that’s a category of smoothie. Which it should be). It’s made with roasted sweet potato, which packs it with vitamin A and C and a nice, not-to-sweet, rich flavour. 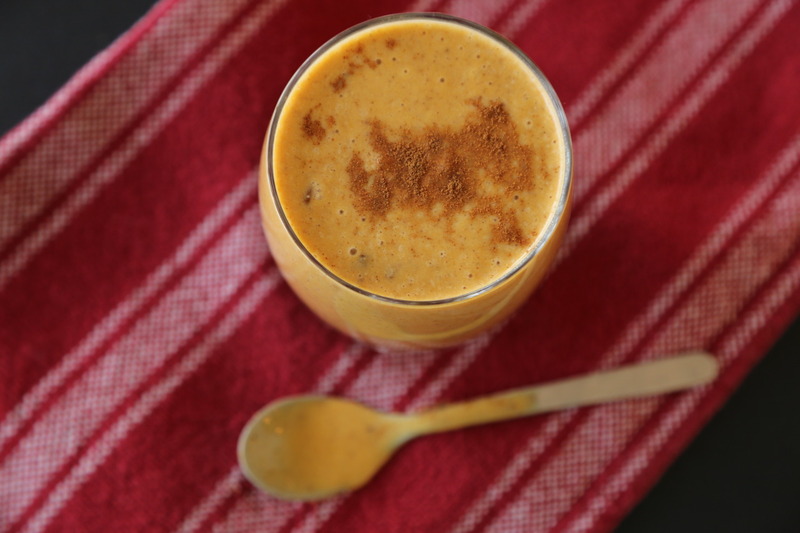 It’s flavoured with ginger, turmeric, and cinnamon, which give it a subtle spiciness, and has flax seed to add fibre. I like using fresh ginger to make the ginger flavour shine even more, but powdered ginger works well too. Feeling under the weather or in need of a healthy start to the day? This smoothie is exactly what you need! Bake your sweet potato: heat oven to 400 and slice potato in half. Lightly oil cut side and place cut-side down on a foil or parchment paper lined baking sheet. Roast about 30 minutes, until soft. Let cool before making smoothie. Split between two glasses and serve. You’ll be ready to take on the world after this nutrient-packed, slightly spicy, super creamy smoothie! 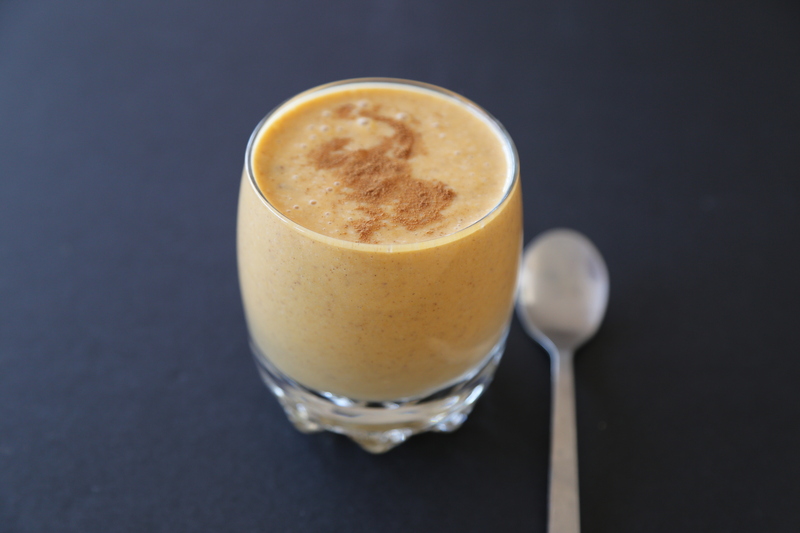 This entry was posted in Breakfast, Recipes, Sip and tagged ginger, smoothie, sweet potato. Bookmark the permalink.